A polarizing filter arranges and filters this directionally polarized light perpendicularly to the reflected light allowing for the absorption of much of this light. This results in a noticeable reduction of glare and reflections from non-metallic surfaces and an increase in the saturation of skies and foliage. A circular polarizer only differs from a linear polarizer in that it contains a quarter wave plane in addition to the linear polarizing filter. The addition of this quarter wave plane is to circularly polarize the linearly polarized light for the use of auto focus and exposure functions. Due to how the light is broken down and filtered with a linear polarizer auto focus and exposure accuracy become skewed during use. Kaesemann-type filters feature greater optical efficiency than regular polarizing foils and are more neutral in color. The polarizing foils are cemented between plano-parallel optical glass layers which are then precision-polished to achieve the most accurate plano-parallel surface. 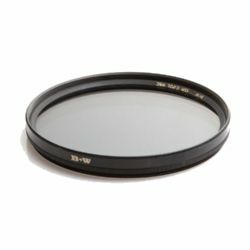 This edge sealing protects the filter layers from humidity and are ideal for use with high-speed telephoto and apochromatic lenses. The Multi-Resistant Coating (MRC) is both an anti-reflection coating as well as a protective surface. It helps to increase light transmission by reducing reflections scattered light and ghosting. Additionally it offers greater protection to the filter substrate and stays cleaner for longer than uncoated filters. The slim filters are specifically designed for use with wide angle lenses and are only 0.1 / 3mm thick.